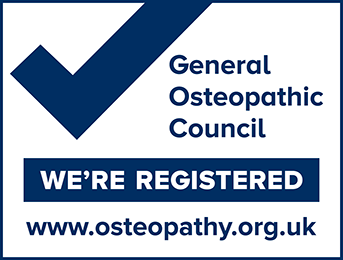 Standards of Osteopathic Practice apply to all osteopaths in the UK. I thought the treatment for pain in my knee was excellent. I felt I was being considered as an individual as Stephen listened to everything I said and gave a treatment appropriate to my needs. His approach was non-invasive. I began to notice an improvement in my knee after a couple of days and the pain has not recurred. To me, it felt as if each treatment enabled my body to correct itself and rebalance. I started seeing Lara about my sinuses, which have cleared. She has also helped me with my neck pain and digestive problems. Thank you so much Lara. Following a breech caesarean birth, Max developed a tendency to turn his head to one side, and he developed a visibly flattened side of head. We were fortunate enough to know Steve's expertise in paediatric osteopathy and it was clear to see how passionate and informed he was regarding treatments and possible outcomes. Throughout the non-invasive treatment we felt totally at ease with Steve, as did Max who fell asleep! I would highly recommend Steve. We are extremely grateful for his time, care and attention to detail. Stephen has been my osteopath for many years and has helped me recover from several serious operations. The atmosphere in the clinic is so calm and relaxing, and Stephen is an absolute professional in everything he does. He truly has healing hands. Just before Christmas, my back ‘went’. By ‘went’ I mean I could barely walk and had constant pain in my lower back and leg. I was off work and spent most of the time lying on the floor. I was treated by Stephen and Simon, both of whom have a professional but very calm manner – ideal for anyone who’s in a lot of pain. They identified muscle and sciatic nerve damage. They obviously knew what they were doing because the pain gradually started to ease, such that by the beginning of March I was back on the treadmill in the gym. Would I use SW19Osteopaths again? Definitely. Only this time I’d go sooner. I damaged my knee in a motorcycle accident and have had trouble with it ever since. I work in the building trade and have to keep fit and active. Stephen has managed my knee and other associated problems, and without his skill I would not have been able to continue with my job. He has even enabled me to go skiing, although this was against his better judgment! If you are looking for an experienced osteopath, then you need look no further; his skill is unrivalled. I am just e-mailing you Stephen to let you know that my baby daughter’s tight tummy calmed down considerably after your treatment so thank you very much. I have had several treatments with Steve over the years for neck pain, back pain and under active thyroid. Steve has natural healing hands as well as a bank of experience and knowledge, which enhance his effectiveness. He is a very skilled practitioner both sensitive and subtle with powerful results; I have completely recovered from these conditions. I rate Stephen very highly and would recommend him to anyone. Over the last 6 months Lara has effectively used the Emmett Technique to eliminate my persistent lower back pain as well as foot and heel pain. She has also been able to relieve stress and tension from my neck and shoulders. The relief, as a result of her treatments, is immediate and long-lasting. I would highly recommend her treatments.